Here we give readFile a function to call (which we refer to as a “callback”). This callback function is invoked once the contents of the file has been read. This is an asynchronous operation because the readFile call is non-blocking and if you were to execute the above program, you will notice that After readFile. will be printed before File has been read. Do you see what I mean? We had to define a couple of variables (response1 and response2) to track the state of the two requests. The callbacks to both the service calls have to call the next() function, which will then check the state of the requests and print the combined results if both requests are done. The above code is not even complete! For instance, notice that we will be invoking the callback twice if both the service calls fail. // are we done yet? There are ways to make those callbacks look prettier, but that’s not the point of this article. Instead, I want to show you an alternate way of handling such tricky asynchronous operations, through the use of Promises. A Promise is a placeholder object that represents the result of an async operation. This object will hold the information about the status of the async operation and will notify us when the async operation succeeds or fails. Enough theory, let’s see re-write the nested callback example above using Promises. The asyncCall(), instead of requiring a callback, returns us a Promise object. The subsequent then() calls on the Promise object also return promises, thus allowing us to chain a sequence of asynchronous operations. The fail() takes a function that will be invoked when any of the preceding asynchronous calls fail. Since an error automatically cascades down to a separate handler, we don’t have to check for them in each stage, like we have to do in the callback-based approach. As you can see, this type of chaining “flattens” the code and drastically improves readability. With that rather large introduction to Promises out of the way, let’s look at some practical ways of using Promises when working with Node.js. The first challenge you will face in adopting promises is that all of Node’s core libraries and most of the user-land libraries work using callbacks. Thankfully, there are some awesome libraries that allow us to convert these callback-based APIs to promises. I’m going to use the Q promise library to show how to get going with Promises in Node.js. Q has a handy nfcall() utility function that converts ‘readFile()’ to a promise. With this simple wrapper, you can start using Promises even if a library uses callbacks. Go ahead and try executing the above code (make sure you have the Q module installed by running npm install q first). This example builds on top of the basic constructs of Promises that we have already seen, except for the use of the spread function. Notice how we make 2 concurrent API calls for fetching the collaborators and commits independently. These two calls are returned as an array of promises, which are then “spread” over their eventually fulfilled results. Slick isn’t it? We don’t have to track the state of the individual requests anymore, as we did with the callback based version. With that, we have covered the basics of Promises and hopefully you got a glimpse of the powerful abstractions they provide us. You should definitely consider using them whenever you’re having trouble managing multiple, inter-dependent asynchronous calls. You will find that Promises definitely makes asynchronous operations easier to reason about. If you want to read more about Q, this guide will be really helpful. Go ahead, try it out and let me know how it goes! 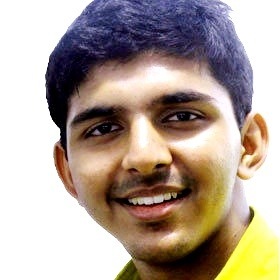 Kishore is a designer and developer, whose work has been featured on leading blogs like TechCrunch, Mashable and The Next Web. His latest project is Codassium - a WebRTC-powered tool for conducting online interviews. Kishore loves writing, teaching and sharing what he learns. You can follow what he is upto on Twitter or via his blog. Nice overview, hopefully more people will take note of Promises. FYI I’ve got a promise lib here: httpss://github.com/jive/JiveJS-Commons that should serve as an example of how easy and simplistic they really are behind the scenes. Do you have any working demo on node.js using promises ? Gives a clear view on promises and callbacks. This “Promiss’s a lot of execution overhead and turgid use of Browser/Client-side Java-script inherent Object Oriented Programming Language facilities. I find your example of passing data from a file concurrently into a couple webservices unconvincing. Yes, the code you put up is bad, but I’m not sure that it’s a reflection on callbacks or just on that code. (1) You’re returning an array of responses but declaring each response separately. Instead use an array. inside the top-level function because the responses relate to its overall purpose of the function. (3) The function can be flattened out by making the callbacks that handle the service responses named instead of anonymous. (4) After taking care of 2 and 3 we can use a single callback for each post request that just pushes the response into the array. (5) The `next` function should be pulled out into the top-level scope, instead of being defined in the FS.readFile callback. Why? Because it’s accessing the `callback` parameter and the `responses` variable which are delcared outside the FS.readFile callback’s scope. On the run up to the event, we'll be emailing out updates on talk descriptions, new sponsors and additional information which you'll find useful if you're attending the 12 Devs of Easter. © 12 Devs is back! 2019.